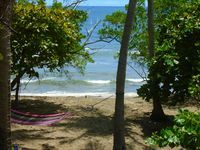 Property 1: Costa Rica Paradise Right on the Beach!!! 2-bedroom apartment with ocean view. A/c. H/w. Kitchen. 200 mts to the beach. Property 16: 2-bedroom apartment with ocean view. A/c. H/w. Kitchen. 200 mts to the beach. 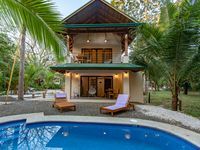 Property 17: Costa Rica Paradise Right on the Beach!!! Property 19: 1-bedroom apartment in Samara. A/c. H/w. Kitchen. 200 mts to the beach. Fantastic place,and hosts are awesome! Beautiful,magic location steps from the ocean. The hosts,Rita and Sonny are fantastic hosts. The apartment is well equipped,and nature is all around. Hoping to return soon!